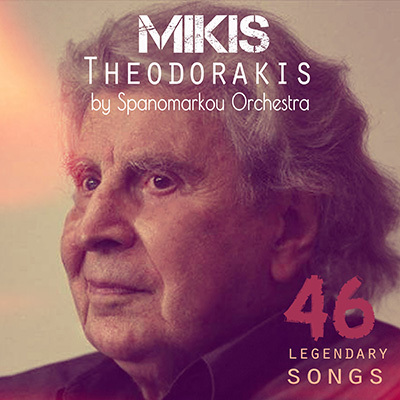 FM Records presents the live album “46 Legendary Songs: Mikis Theodorakis, by Spanomarkou Orchestra”. An exceptional collection dedicated to the leading Greek composer Mikis Theodorakis, one of the most important music figures of the century, with the editing and production of the internationally distinguished composers / writers Areti & Ioanna Spanomarkou. This 3-hour album includes works from the most famous albums, films and plays by Mikis Theodorakis. It is a live recording of the concert-tribute to Mikis Theodorakis, which took place at the Hityrio Theater, by the Spanomarkou Orchestra, under the direction of Ioanna & Areti Spanomarkou. Members of the orchestra are renowned musicians and performers. Significant is the participation of George Xenokostas, one of the top bouzouki soloists today. The songs are performed by Nantia Karagianni, one of the great Greek female voices of our time, the excellent Vasilis Architektonidis, who also plays piano and the upcoming singer Sotiris Psyllakis. The Spanomarkou orchestra, under the artistic supervision and direction of the internationally acclaimed composers Ioanna & Areti Spanomarkou, presents very well orchestrated performances based on the style of the 1st version of the songs. It is very interesting to note that handwritten music sheets of Mikis Theodorakis were used as a reference, as well as transcriptions / harmonies of the 70s by the well-known Pontian composer and musicologist Vasilis Architektonidis and the archive of the Music Library of Greece “Lilian Voudouri”. The Spanomarkou Orchestra aims to promote Greek music and have made several television appearances, while the musicians & composers Areti & Ioanna Spanomarkou have won many international awards and accolades over the past years, such as 3 golden medals at the Global music awards for their socio-political release “Hellas Politiki Kratoumeni” and 5 important music composer distinctions and first prizes for 5 of their compositions in the World Music Composition Competition (Nashville, USA, 2012, 2014, 2016). 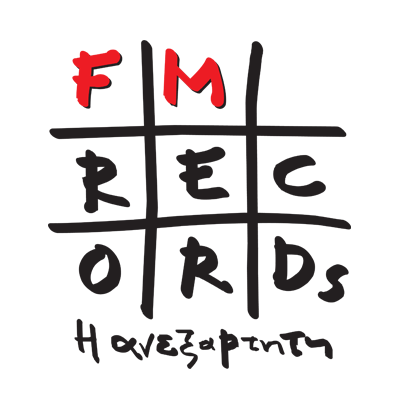 Areti & Ioanna Spanomarkou have Bouzouki as the centrepiece of their compositions and follow the path of Greek traditional and Byzantine music blended with lyrical and symphonic elements, having already established their own trademark sound. Their songs have been embraced enthusiastically, especially by the younger Greek audience, proving that the quality Greek song overcomes the ephemeral musical trends. They also often write music for theatrical plays and films, as well as music for charitable causes.